Suitability: Any age or stage welcome! CLASSICAL, MUSICAL THEATRE, JAZZ AND CONTEMPORARY. South Island born and raised soprano, Laura Loach moved to Wellington to study at Te Koki New Zealand School of Music, where she gained both her Bachelor of Music and Post Graduate Diploma of Music in Classical Performance under the tutelage of Flora Edwards, who she continues to study with. Laura is also passionate about teaching and after completing her postgraduate studies she trained as a secondary teacher, gaining her Graduate Diploma in Teaching (Secondary) at Massey University. Laura also holds her ATCL in Performance Speech and Drama with Distinction from Trinity College. 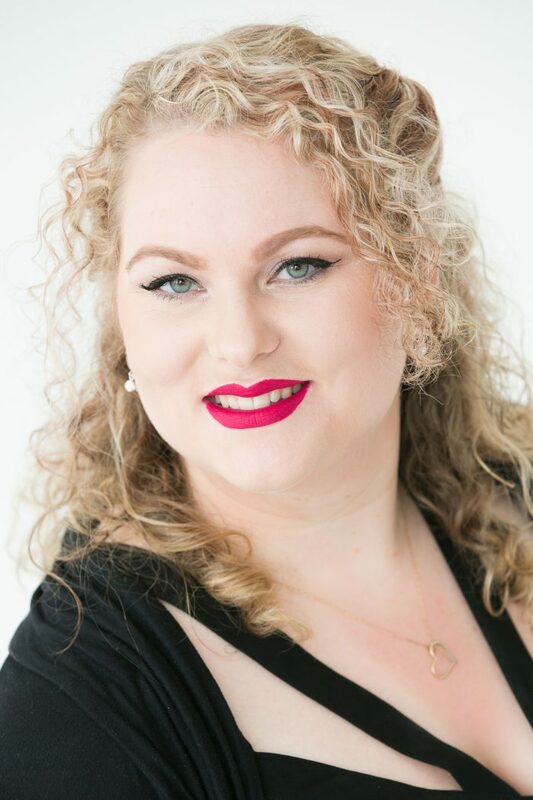 Laura travels for vocal competitions regularly, having been a finalist in many prestigious New Zealand competitions, and this year, Laura was awarded winner of the Dame Malvina Major Foundation Christchurch Aria competition. Laura has performed a diverse range of roles in Musical Theatre and Opera, and in Theatre as both actor and director. Key roles have included: Juno in Semele (Handel) with NZSM, Gianetta in The Gondoliers (Gilbert and Sullivan)WGSLO, Claire in Ordinary Days (Adam Gwon) Backyard Theatre Productions, Bellaria/Queen in Cymbeline (Shakespeare) Lonely Shakespeare Collective, Marcellina in The Marriage of Figaro (Mozart) and La Musical in Orfeo (Monteverdi) with Eternity Opera, this year she will also appear as Suzuki in Madama Butterfly with the same company. She has been a member of the NZOpera Freemasons Chorus since 2012. This year marks Laura’s Musical Theatre Directing debut with The Wellington Footlights Society for their production of CHESS the musical. Laura is a passionate creative person who is dedicated to teaching and inspiring students to excel in the Arts. She has worked as a private singing teacher, as well as a classroom Music and Drama teacher and is comfortable teaching a wide range of genres and styles. She has been involved in coaching Aotea College’s National Champion Girls Barbershop Chorus ACBC, as well as coaching various quartets. Laura has also had experience in training students towards their NCEA performance assessments (both in Music and Drama). She has worked with a variety of learners including children, teenagers and adults in solo and group settings. Laura is passionate about working with performers at all ages and stages and aims to tailor the lessons to each student’s specific needs and requirements. Laura is a well qualified singer and teacher of music and drama. She believes that every student should develop a good set of technical skills, no matter what genre they intend to perform. She strongly believes that students grow in confidence and learn more comprehensively in a positive environment where they are passionate about what they are learning. Her studio provides a space for students to explore their interests and challenge themselves in a positive and engaging way. She focusses on skills such as; breathing technique, tone development, healthy voice production, diction for speech and singing, artistic style and stage presence many with any other skills a performer needs. Laura has been working as a classroom music and drama teacher, as well as itinerant singing and flute teaching. She has sound knowledge of both NCEA music and drama, as well as Royal Schools ABRSM and Trinity College of London syllabi. She is currently focussing on expanding her private teaching as well as working as an itinerant teacher and freelance singer. Laura has been trained in Bel Canto style and uses these techniques combined with a sound knowledge of physiology, experience in other genres and a flexible teaching style to create a lesson that suits the student in front of her. Along with singing lessons she can also offer Drama lessons / prepare students for auditions and beginner Flute and Piano lessons.